Elizabeth Ministry: a group of women that are dedicated to being present for other women and their families throughout all walks of childhood: fertility/infertility, miscarriage, birth, childhood challenges, child sickness, adoption, fostering, and/or loss of a child. Our goal is to respect all life, cherish children, encourage families, enrich marriages, and build community. Contact Michelle for more information. Ladies of Charity: Meets four times a year. 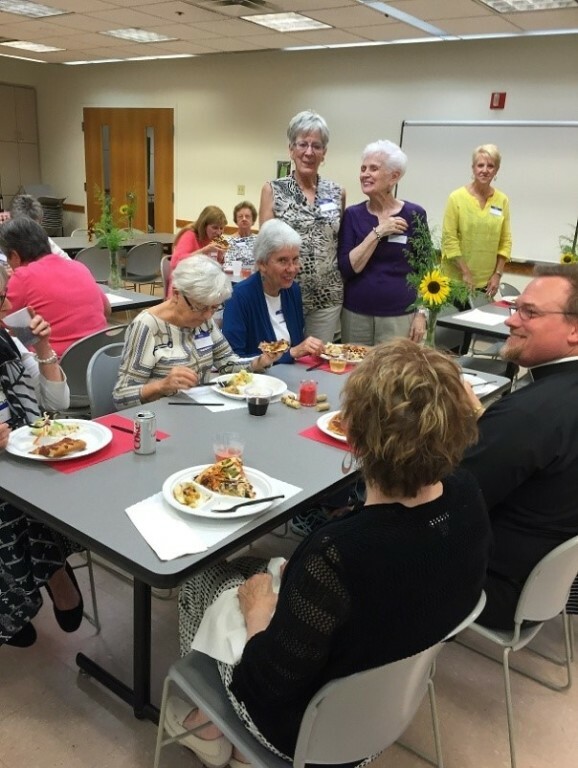 Projects include: Serving Funeral Luncheons, Hosting Bingo at Tippecanoe Villa Assisted Living Community. WOW (Women of Worship): Provides a spiritual and social evening for all women in the parish and special invited guests. The evening begins with Mass followed by a carry-in dinner. Guest speakers or other special programs are presented. The group meets 4 times per year at 7:00 p.m., weather permitting. Specific dates and times are printed in the bulletin. One special service project the WOW group sponsors is the Care and Share program. This service project provides individually wrapped items that are delivered to those who are home bound or in nursing homes.